I just finished reading this as well! To me, it felt comfortable like an old glove, but a bit slight... certainly not as ambitious (or as good) as BRIDGE OF SIGHS. 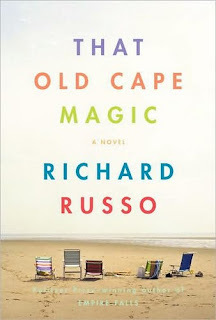 Russo is one of my favorite authors - try NOBODY'S FOOL or STRAIGHT MAN next. I'll definitely be trying more of his books - thanks! I loved Straight Man. It's quite different from his other books. It's more of a comedy.